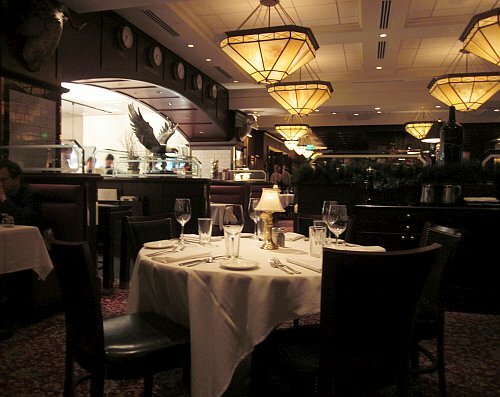 The Capital Grille is a national chain with several locations in the Washington, D.C. area. 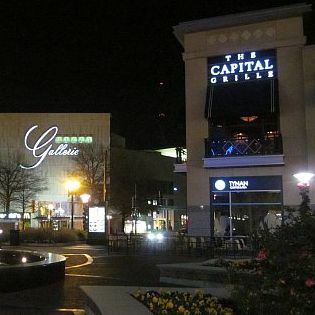 I visited the Friendship Heights location at 5310 Western Avenue at Chevy Chase, MD 20815, across from Mazza Gallerie. Reservations had been made to celebrate a birthday. The staff was very attentive when we arrived. The receptionist extended congratulations and led us to a table that had been set with festive cut-outs on the tablecloth. Also, there was a happy birthday card on the table signed by all the staff. During the dinner, the waiter explained the items on the menu, provided useful suggestions, and checked frequently to see if we needed anything. 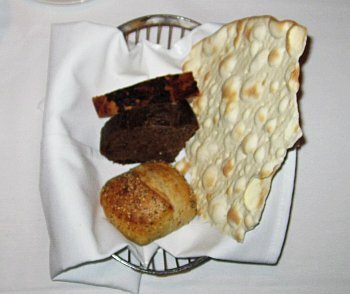 A basket of hot bread is brought to your table. 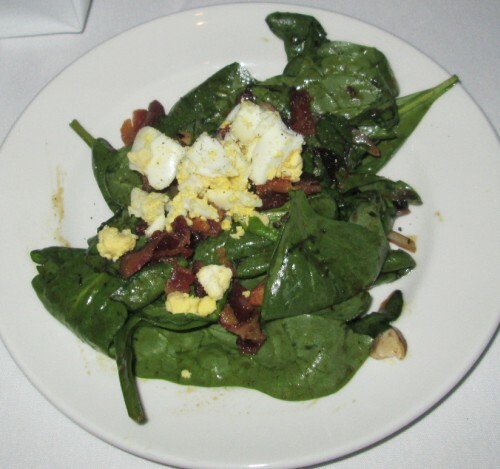 The spinach salad has a lot of smoked bacon and it is topped with crumbled hard-boiled egg. The Pan Fried Calamari with Hot Cherry Peppers dish is quite spicy. 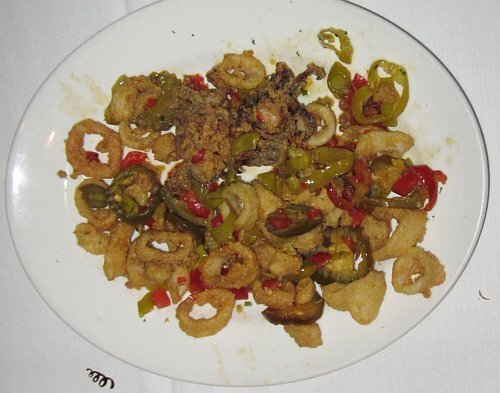 The crisp and golden fried calamari are mixed with sliced pickled hot peppers. 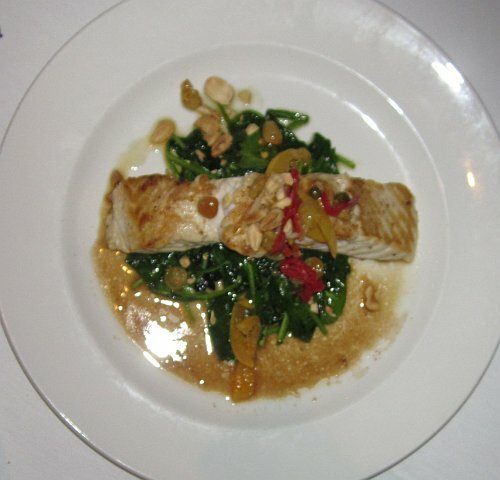 The waiter suggested a wild-caught king fish on a bed of spinach that was not on the printed menu. This dish was very tasty. The fish was well seasoned and perfectly cooked. 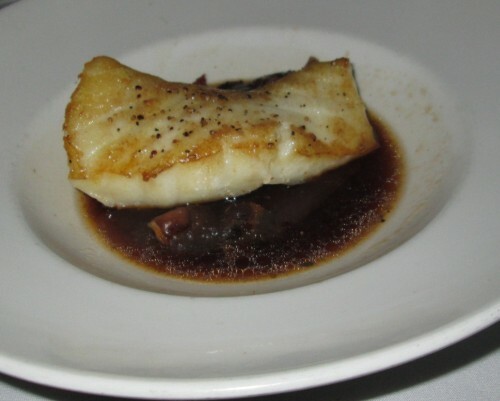 The sea bass with wild mushrooms was perfectly cooked and seasoned. 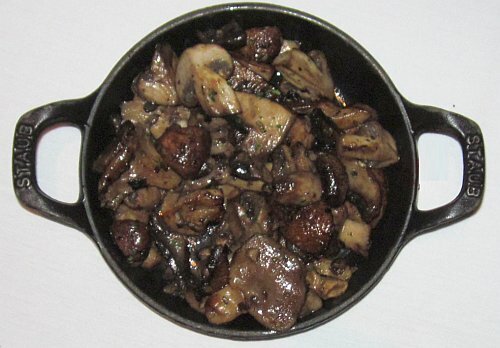 As a side dish, we ordered Roasted Cremini, Portabella, Shiitake and Oyster Mushrooms. The mushrooms were very flavorful and had a slightly sweet taste from a reduced wine sauce. 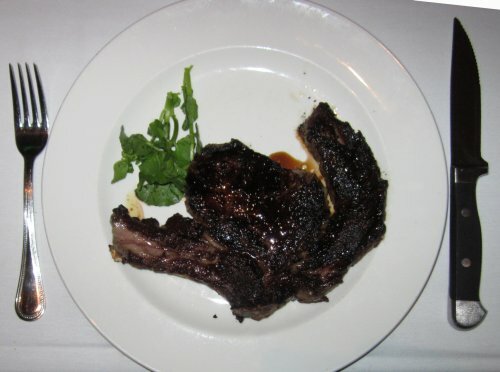 I ordered a medium-rare Porcini Rubbed Delmonico with 12-Year Aged Balsamic, which is supposed to be one of the restaurant's signature dishes, prepared with a porcini mushroom crust. My impression was that the steak had been seared too long causing the crust to turn black. The steak was actually medium, but still juicy. The plain Delmonico Steak was a lot better than the signature dish, and it was cooked exactly as requested. Sometimes, simpler is better. 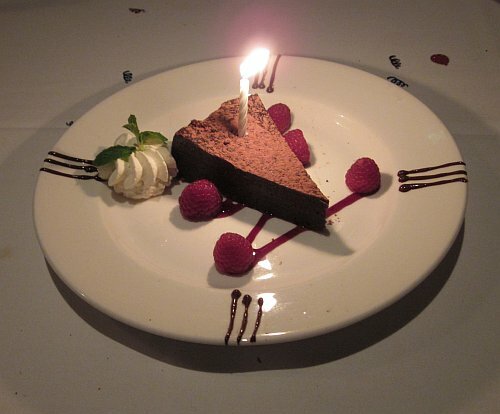 For dessert, the restaurant presented a complementary Flourless Chocolate Espresso Cake. The cake had a rich mocha flavor highlighted by the taste of raspberries, whipped cream and chocolate sauce. 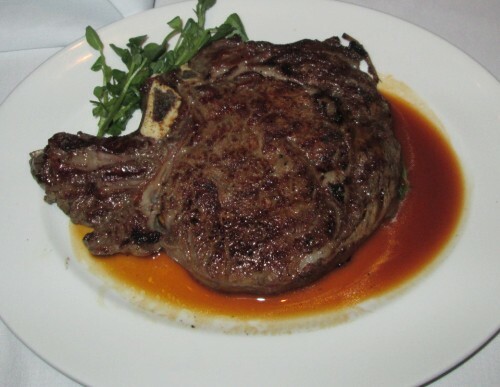 The Capital Grille makes an effort to improve a diner's experience. 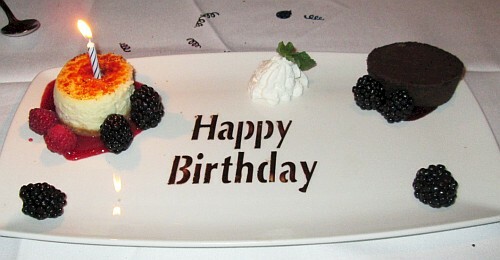 For birthday celebrations, the restaurant now stencils "Happy Birthday" with chocolate sauce on the plate where the desserts are presented.